516 Project, Inc is a Christian based 501c3 non-profit construction ministry based in Fredericksburg, Va. Founded in 2016. Our ministry shares the love of Jesus with people in need. We work with individuals, churches and businesses to impact our community by glorifying God through service. We are a 100% volunteer operated organization. We would love to have you join us as we serve those in need. 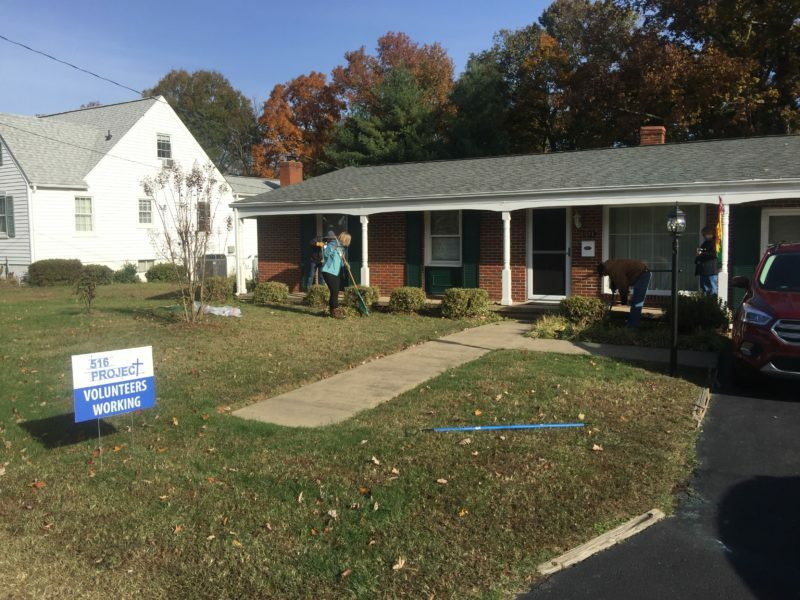 While a majority of our workdays are focused around home repairs and construction tasks, there are plenty of other volunteer opportunities available as well. Photography, home visits, material delivery, paperwork, letter writing, marketing etc. Please feel free to contact us for current needs. Do you need help? We have workdays throughout the year. Please click the sign up link below to fill out a short form with some info on the work you need completed. 516 Project, Inc is a registered 501c3 charity with the IRS. As a 100% volunteer organization we rely on donations to provide services to the families we serve. Thank you for partnering with us. Please click the link below to donate securely with PayPal.